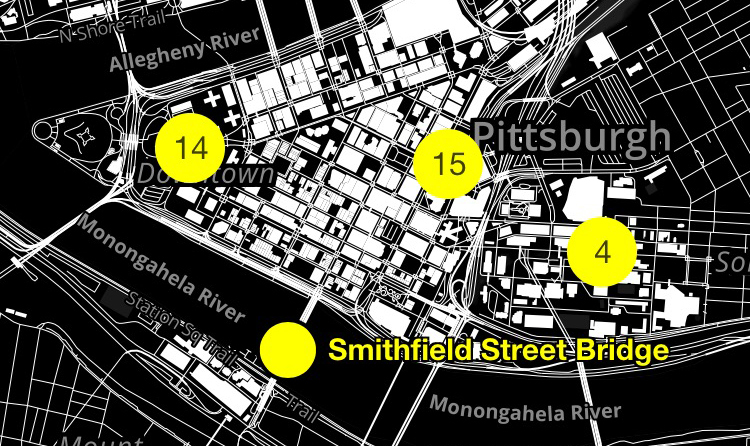 The Boston-based interdisciplinary architecture firm over,under has launched a mobile architecture guide app called Jaunt Pittsburgh. 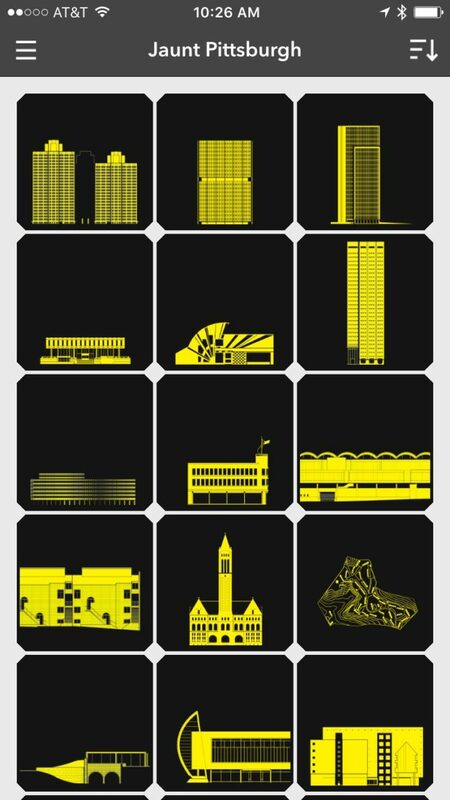 The app provides navigation to a curated list of historic and contemporary architecture throughout the city, and can be downloaded for free for from Apple’s App Store or Google play. Users can search and find architecture in three ways. Projects can be sorted through 1) a grid of icons, 2) a sortable list of architects, location, date, or other characteristics, and 3) a navigable map. 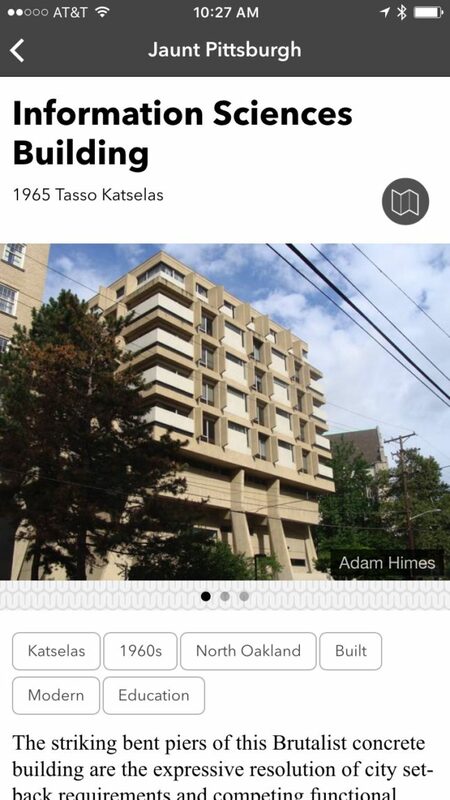 Along with helping users find buildings throughout the city, the app includes photographs and historical information. Each project also includes a list additional readings outside of the app. over,under worked with students from Carnegie Mellon School of Architecture and from the Carnegie Mellon Qatar campus on the app. The interdisciplinary practice works on architecture, urban design, graphic identity, and publications. The firm produces everything from architectural films and mobile apps to building and urban design proposals.